Scientists from the California Institute of Technology say they have "good evidence" that Planet X, a mysterious ninth planet hidden on the fringes of our solar system, actually exists. This isn't the first time researchers have speculated a ninth planet exists. In fact, astronomers have speculated as far back as 1846 following the discovery of Neptune. Planet 9, as it's now being called, could take the mantle from Pluto, which was downgraded to dwarf-planet status in 2006, as our solar system's ninth planet. The thing about Planet 9 is that it hasn't actually been spotted yet, though its discovery could happen via telescope within five years or less. As of now, researchers are basing their findings on mathematical and computer modeling, along with years of evidence suggesting a planet rests beyond Neptune's orbit. Scientists say the Smoking Gun evidence was observed when they noticed distant objects beyond Neptune in the Kuiper Belt all swing out in one direction, likely due to a planet keeping them in place while they orbit the sun. The planet in question? Planet 9. According to data from the Cal Tech scientists, Planet 9, which is being referred to as a tiny gas giant, is around ten Earth masses, and takes roughly 20,000 years to orbit the sun (at a distance of about 60 billion miles). Scott Sheppard, an astronomer at the Carnegie Institute for Science in Washington, said the planet's relatively small size is probably the reason why it's been so difficult to track. "It was probably the runt of the family," Sheppard said. 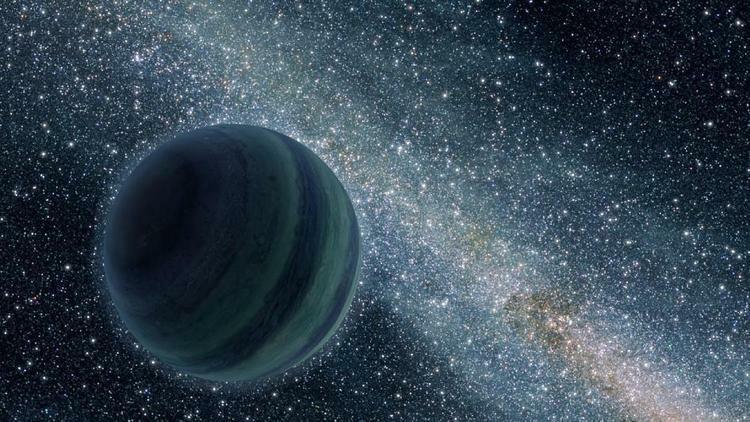 Scientists believe that Planet 9 might have formed close to the sun, but was kicked out of the area by Jupiter, which has a strong gravitational influence. "This is a prediction," said Konstantin Batygin, one of the researchers at Cal Tech. "What we have found is a gravitational signature of Planet 9 lurking in the outskirts of the solar system." Batygin confidently went on to say that when Planet 9 is discovered, it'll be "era-defining." Now that the cat's out of the bag, every backyard star-gazer from here to the Antarctica will be on the hunt for Earth's distant neighbor. And that's just as well, according to astronomer Mike Brown, because it means we'll see the planet with our own eyes sooner. "I want to see it," Brown said. "I want to see what it looks like. I want to understand where it is, and I think this will help." Once spotted, scientists say Planet 9 will help us better understand how our solar system formed.